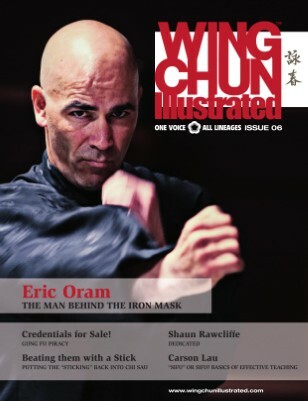 Issue 6 of WCI features Eric Oram on the cover. Sifu Oram is one of the world’s leading authorities on Traditional Wing Chun, as one of the most senior instructors under Sifu William Cheung. For a complete table of contents, please visit our website.